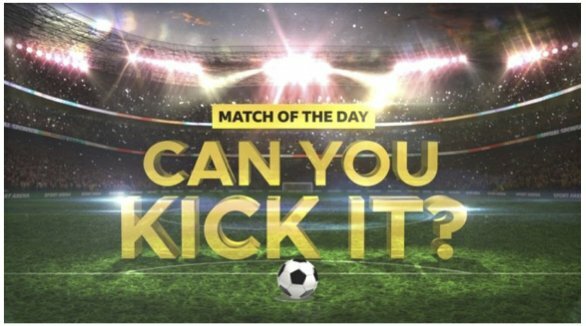 A Children’s BBC TV show called Match of the Day: Can You Kick It? 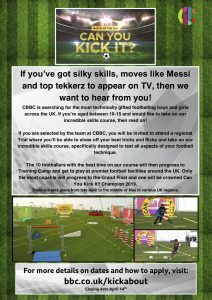 are searching for the UK’s best young technical footballers, kids with brilliant ball skills and impressive flicks and tricks. We’ve attached a poster with all the relevant information. We’ve also attached a video to let you know how to apply! BEST OF LUCK to anyone that applies!